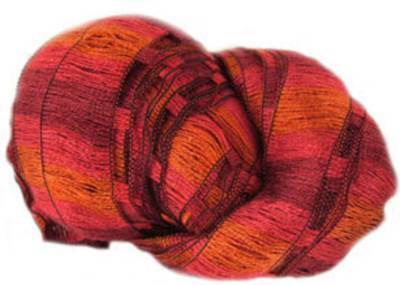 Woolcraft Tango 92 in orange and red shades. 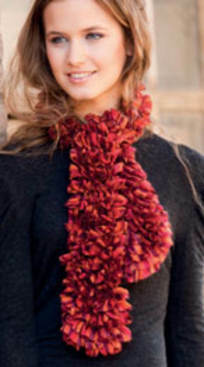 One ball makes a glittering ruffled scarf with fringed edging approx 150cm (60in) long, using 6mm needles, instructions provided. Machine washable 40'. 98% acrylic/ 2% polyester. 100g/ 45m per ball. 5-5.5mm needles.